Flooring. 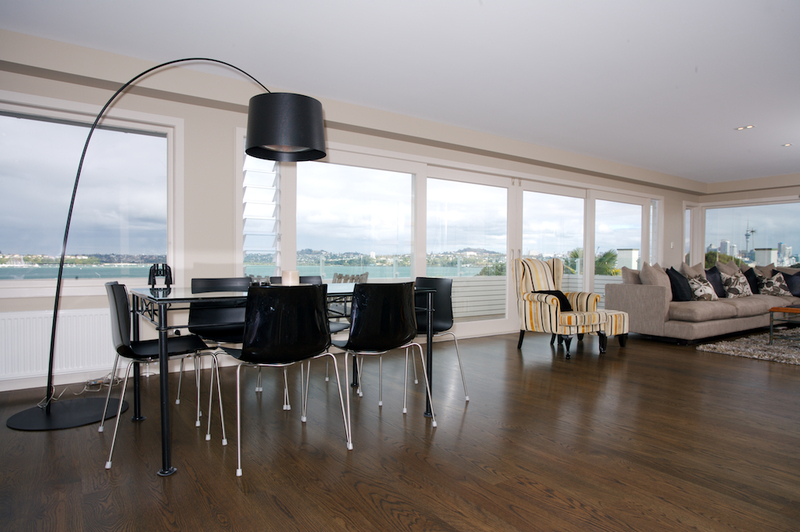 This was finished on site by Wanaka Wood Floors using the Bona Naturale system. The Bona range of Polyurethanes provide exceptional wear characteristics for commercial situations, is quick drying and environmentally friendly. 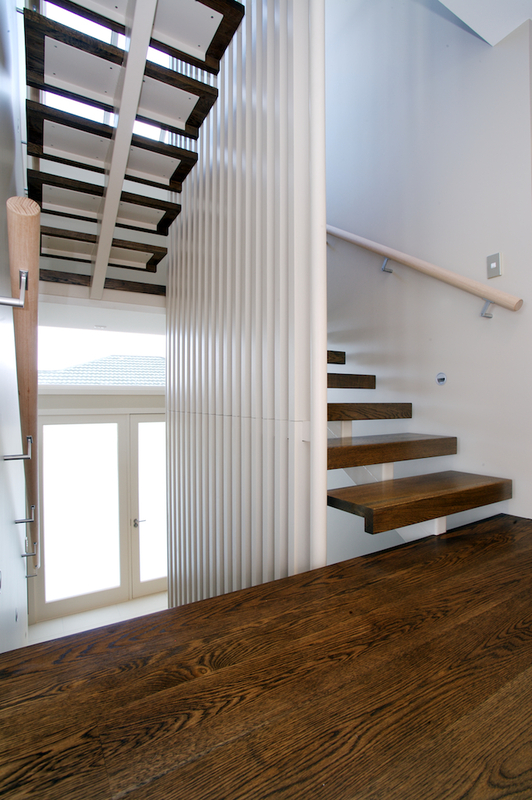 Rodd & Gunn have chosen Naturale to provide the look and feel of pure wood while still providing durability for years to come. 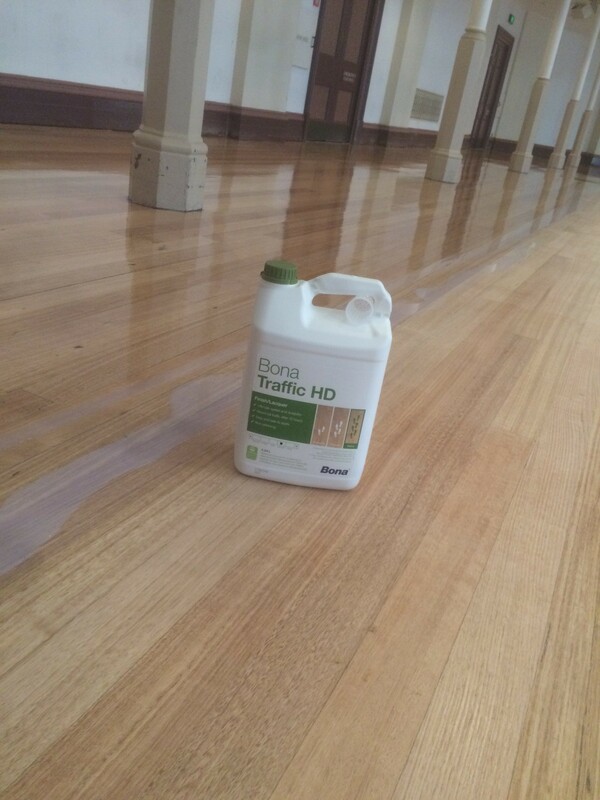 A full range of Bona cleaning products for both commercial and residential is also available to keep timber floors looking their best. A steep and challenging site overlooking the pristine shores of Lake Wanaka. 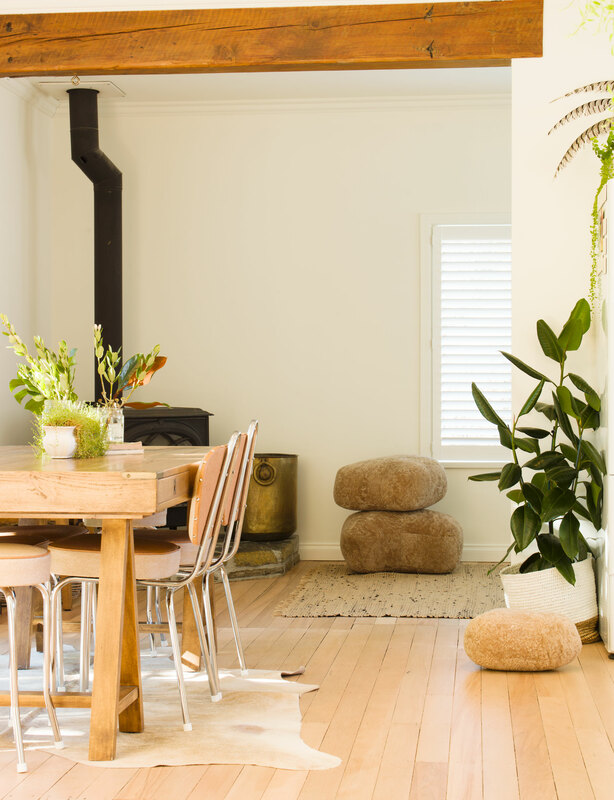 The brief for design and layout evolved from a repeated phrase from the client...."don't let the house get in the way of the view, it's all about the view." A long wall of stacked stone, inside and outside, is the spine of the house that divides the service and entry side of the house that faces the street, from the private and glassy side of the house that faces the lake. The goal was to get as many rooms as possible to have a lake view, not only straight on views but views through corners too. 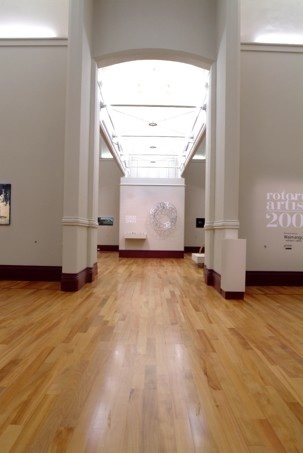 Some rooms look through each other to capture more panorama. 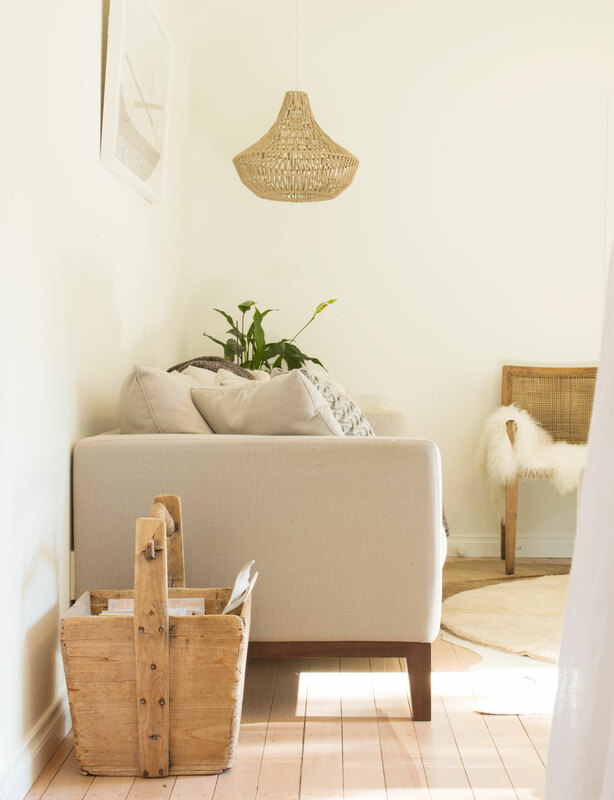 Wanaka has stunning architecture, this home was designed by Eliska Lewis Architect’s and contracted with Wanaka wood floors and supplied by Timber Floors using Bona Hard Wax Oil Silk/Matt in the bedrooms and office. 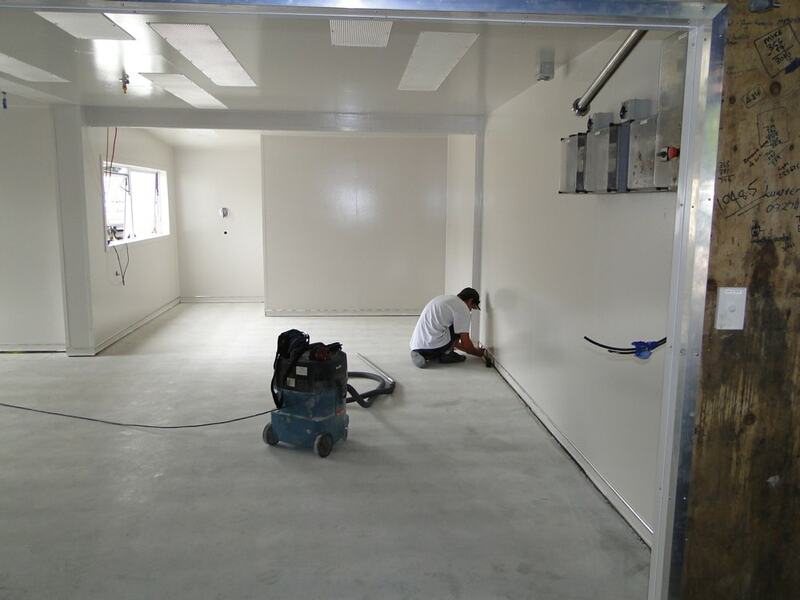 EP740E is a 2 part, water emulsified, pigmented epoxy resin that is applied with a roller onto concrete substrates. EP740E provides a tough and abrasion-resistant film which has good resistance to dilute acids and alkalis as well as motor and fuel oils. 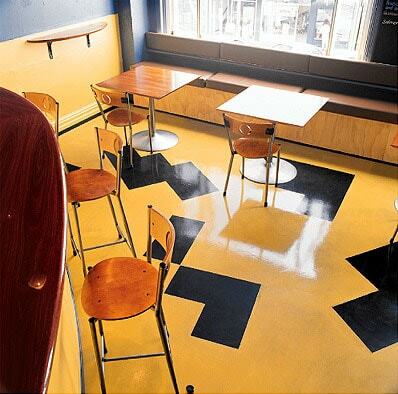 EP700E is a 2 part clear epoxy resin emulsion which is available in both a Matt and Semi-Gloss sheen level. EP700E hardens through evaporation and chemical cross-linking to give a resistant, robust film with good adhesion to the subfloor. EP700E has a good coverage rate of up to 100m2 per 10kg kit (per coat), making it an economical choice when sealing a concrete floor. 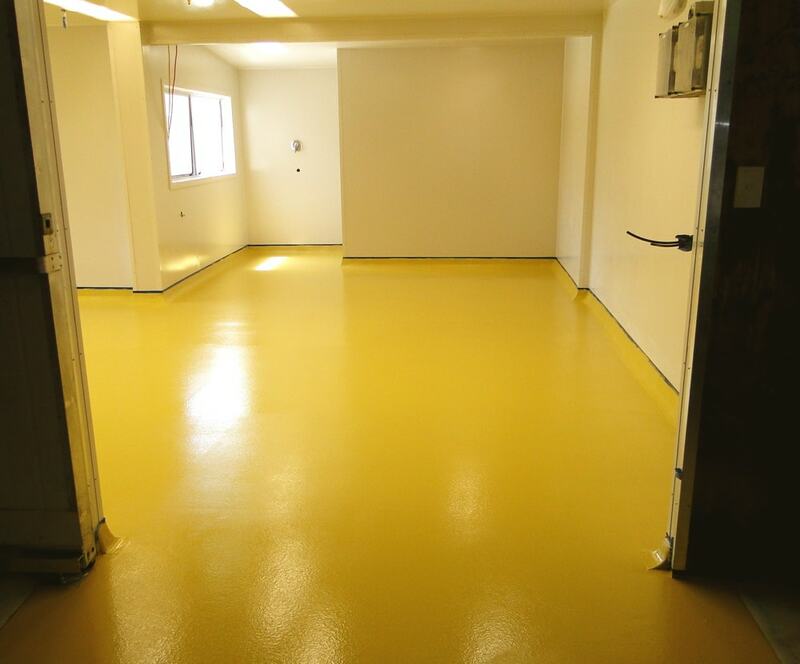 EP700E is a 2-component epoxy resin emulsion. It is used as a top-coat seal. It produces a uniform, Matt or Semi Gloss finish that gives the coating a consistent appearance. The existing concrete floor of this Rangiora cafe was ground back and patch repaired in some places to make the substrate level and uniform. EP740E is ideal as a coloured epoxy for garage floors, retail shops and warehouses. It has excellent adhesion to a wide range of substrates. This product is easy to apply and has a high coverage rate. 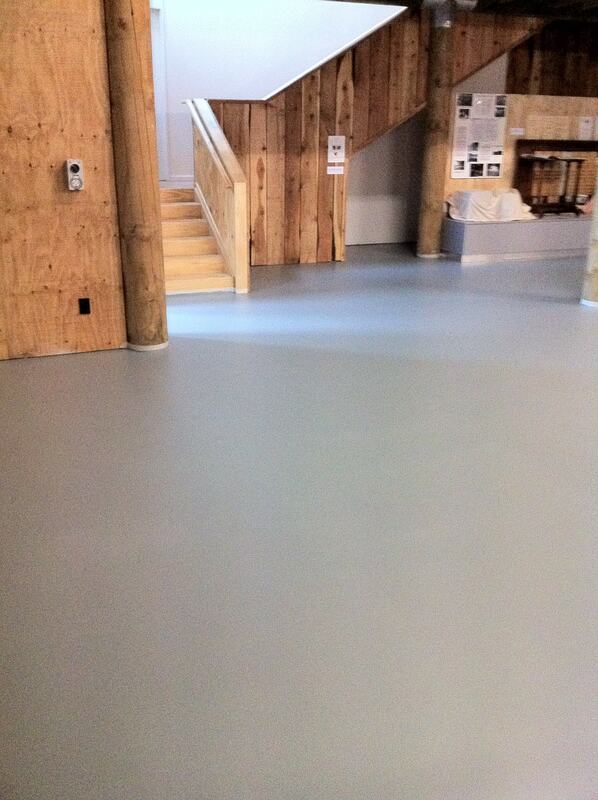 The residential garage application shows EP740E Light Grey 7035 used to create a clean and uniform finish on the floor. A final coat of EP700E was also applied for ease of cleaning and for improved wear protection. 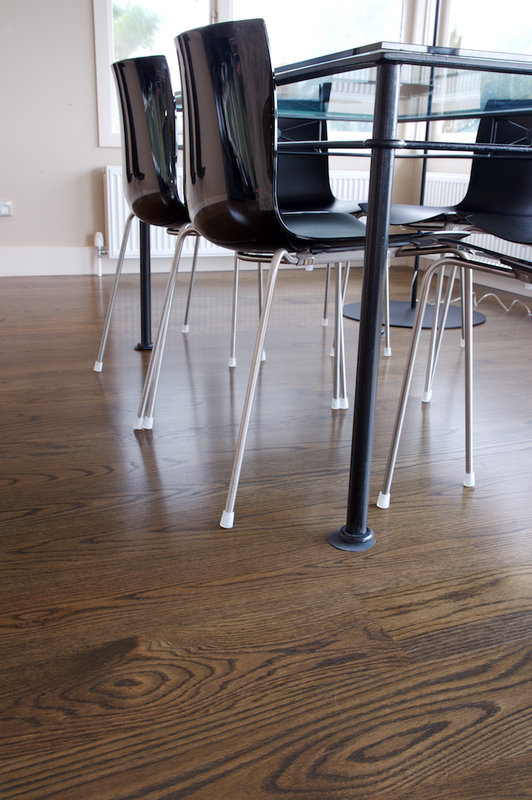 The Client didn't want to paint their floors, so opted for the Bona nauturale and base to be placed on the floors. This floor is easy to maintain and clean. 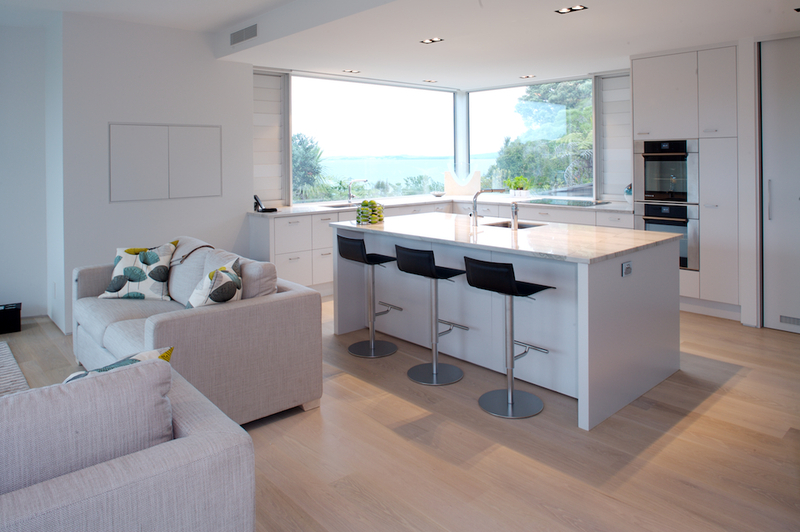 This stunning New Plymouth water front residence was rebuilt into a modern 3 storey home. The floor was very uneven, therefore the levelling compound Ardex K80 was applied along with washed aggregate. 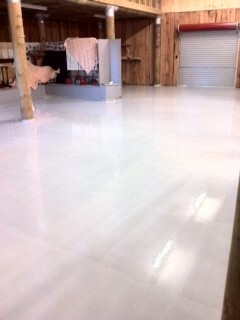 Once the K80 was dry the floor was ground and sealed with Klb 700E silkmatt clear epoxy coating. The owners loved the exposed concrete look. K80 is an Ardurapid levelling compound designed to provide a finished wear surface with exceptional hardness. 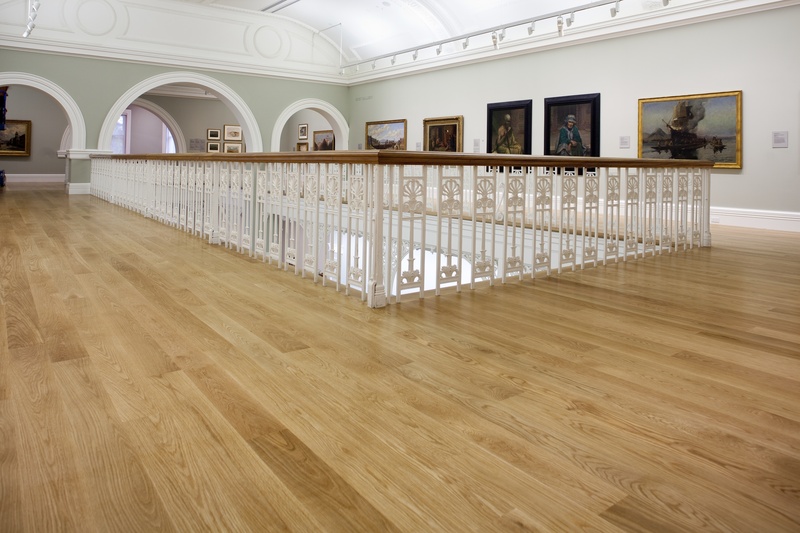 Brilliant for residential or commercial this floor is resistant to forklifts, trolleys and vehicles making Ardex K80 suitable in industrial, warehouses and garage applications. Bona Drifast Stains are available in a wide range of colours. These can be mixed together to achieve endless colour options, enabling you to find the perfect match for your floor. 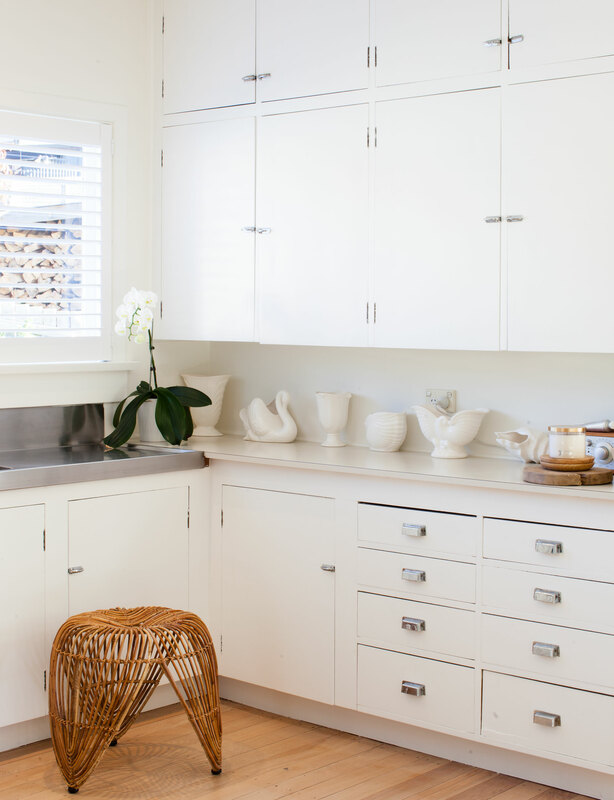 This Auckland home has been stained with Bona Drifast Stain White to impart a beachy feel. It has then been coated with three coats of Traffic, giving a very hard wearing and durable finish. 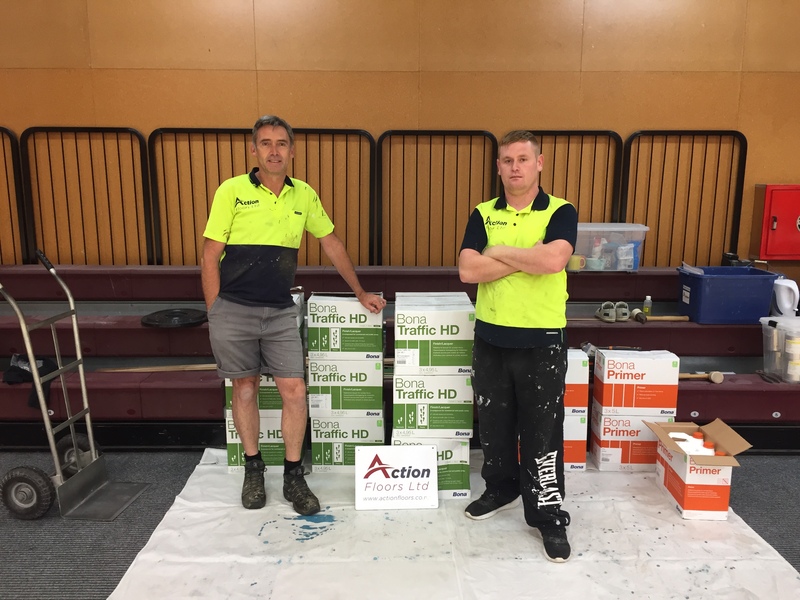 When a sprinkler was set off accidentally in a recreation centre at Wellington’s Tawa College, the building flooded and had to be rebuilt. 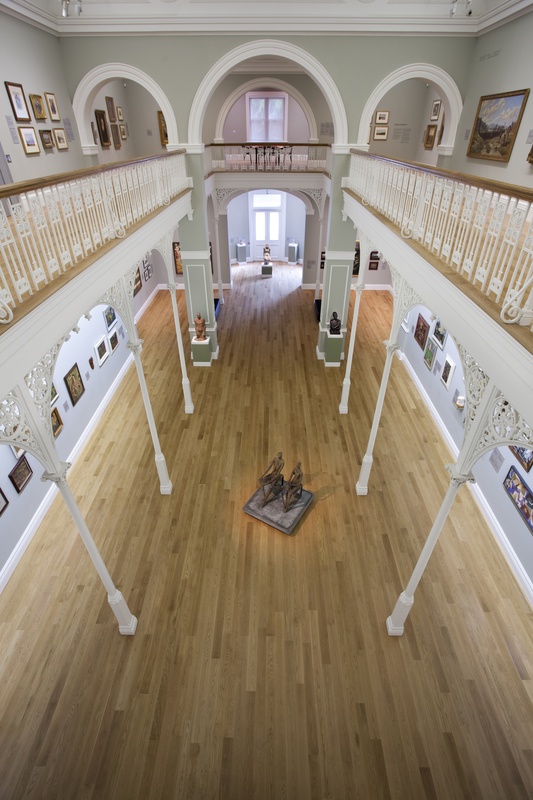 When it came to the timber flooring, finish and longevity were important because of its high use this is where we recommended using Bona to our client. Action Floors within one day had sanded, applied a Bona Prime Intense and first top coat the next day the line marking was done and on day 3 the last 2 coats were applied ( Bona traffic HD), returning the hall to its former glory. “With the latest technology this is now a possibility. What can be achieved is just extraordinary with the quick-dry technology that we have on hand". 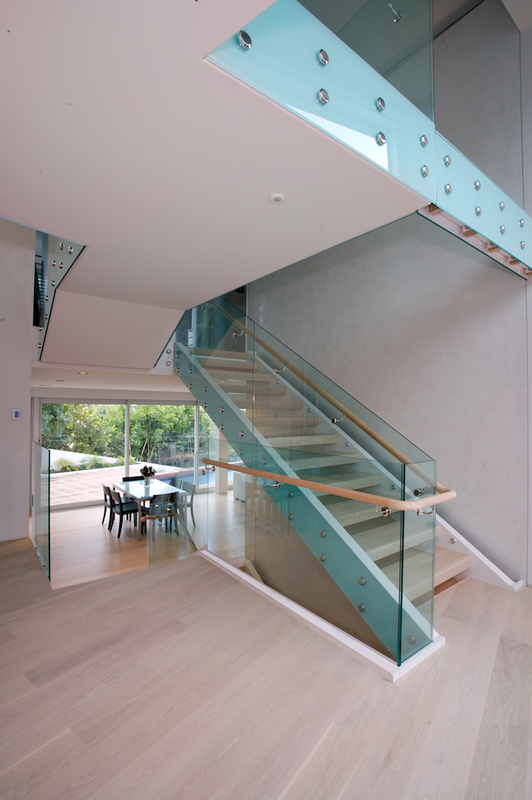 Bona natural polyurethane products are available for uses ranging from residential through to high-use public buildings. 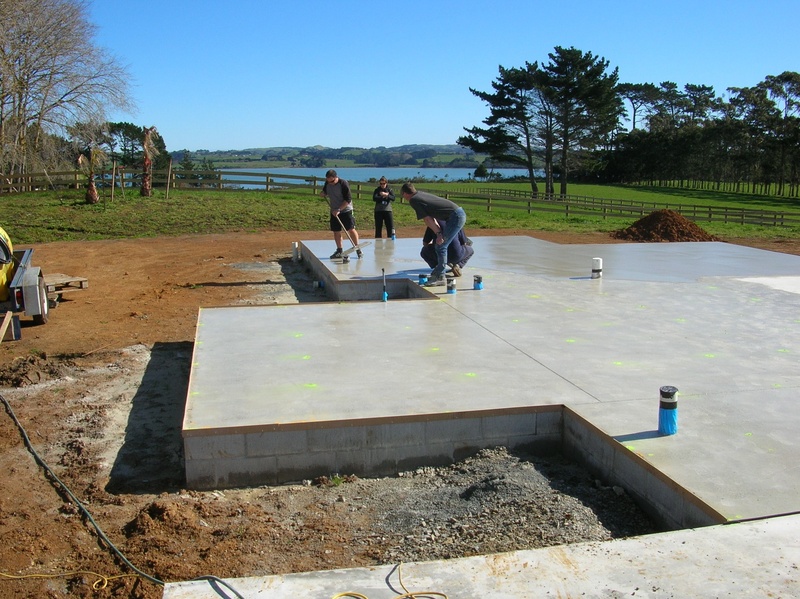 New Zealand Hot Houses had to remove concrete aprons every 3-5 years because of mechanical forces applied to the concrete from heavy machinery used in the tomato growing process. K10 combined with A25 provided a durable, long lasting floor and was able to withstand the tensile bonding strengths applied to it from the operational factors. 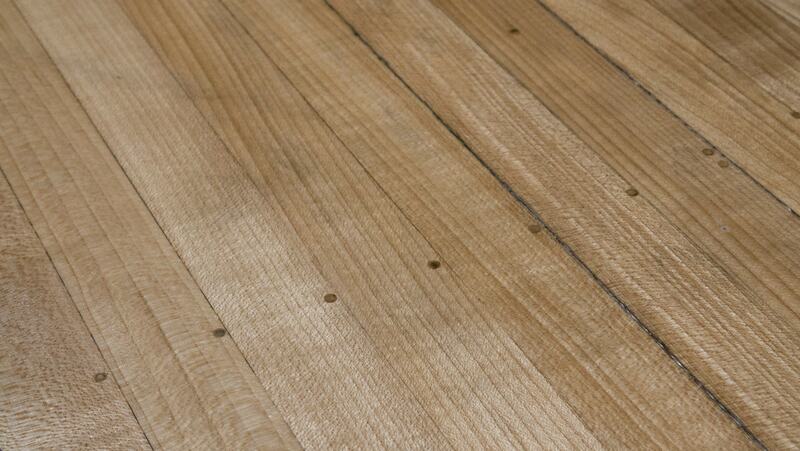 The floor was then sealed with EP 700E giving them a higher chemical resistance. 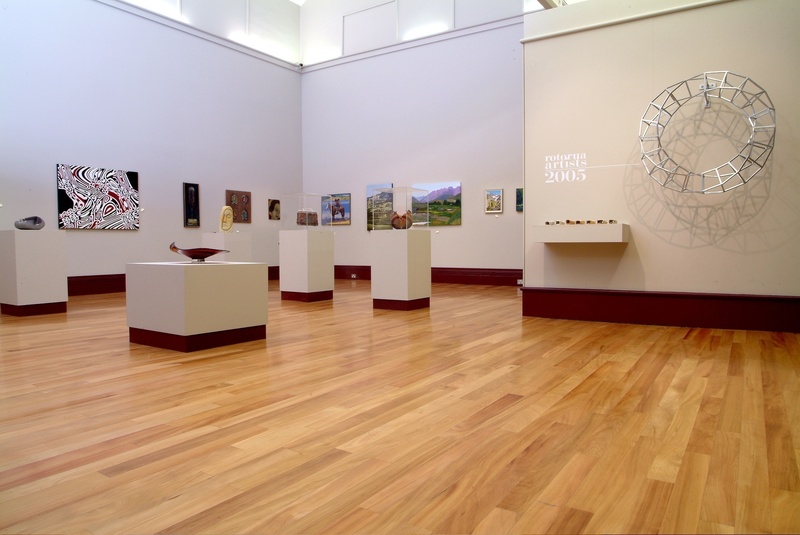 The Rotorua Museum of Art History is located at the historic “Great South Sea Spa”, more simply known as the “Bath House”. Opened in 1908 it was the first major investment made by the government in tourism. Thousands of people would flock to receive “the cure” from the thermal waters. By the 1960’s popularity had waned and in 1966 all treatments ceased at this building. 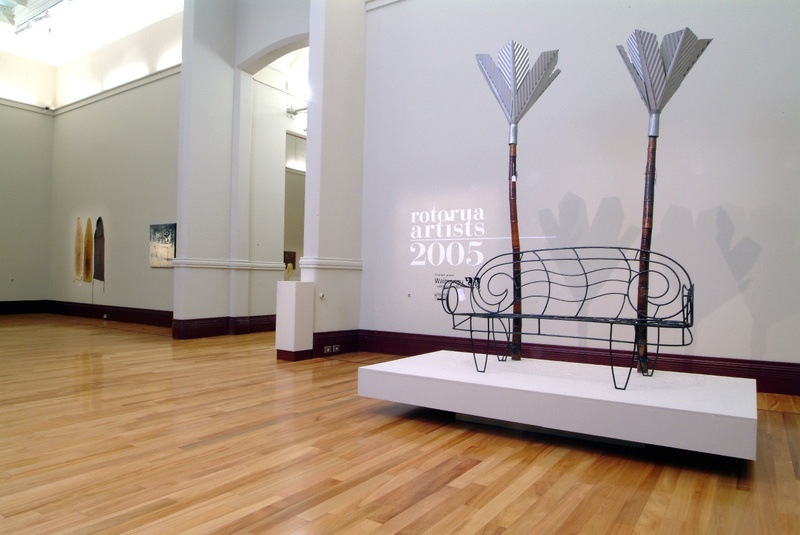 The Rotorua Museum officially opened in 1969 in one wing of the building and the Art Gallery in another wing 11 years later. 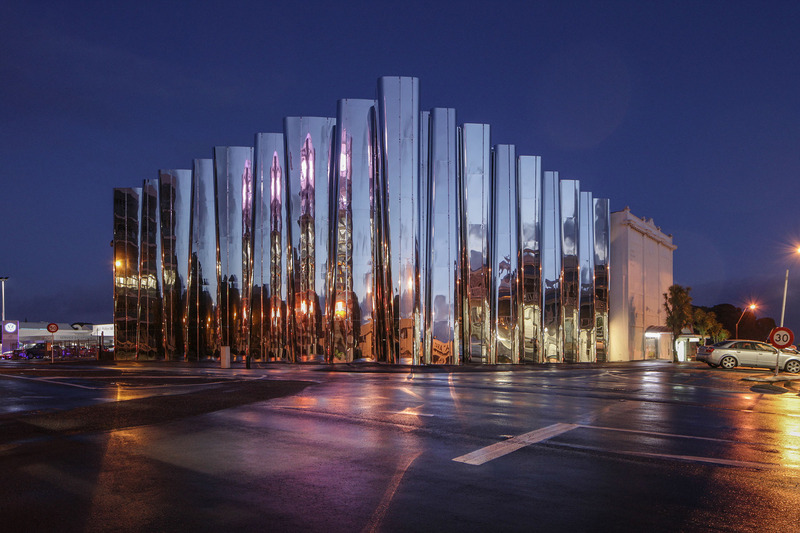 Now protected under the Historic Places Trust, the Rotorua Museum of Art History is still a very popular tourist destination attracting visitors from all over the world. Ardex A46 & K80 Applied to the floor. 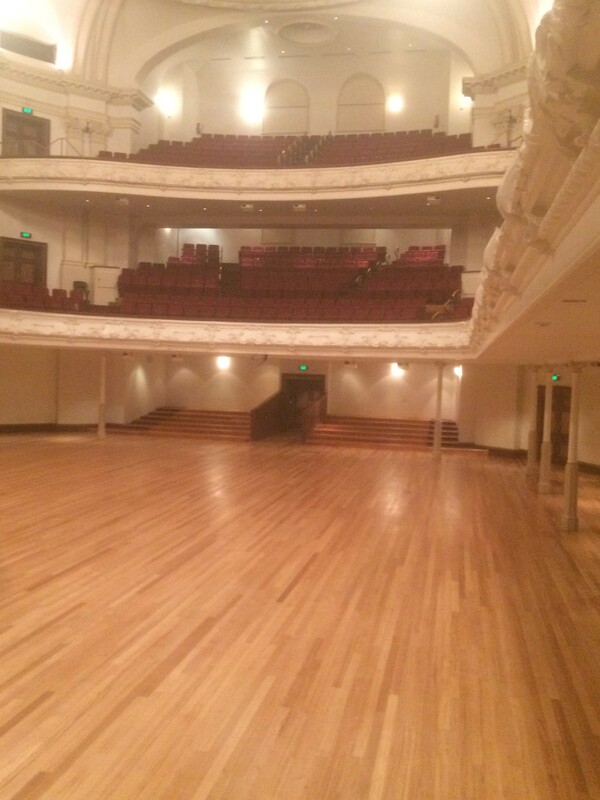 Auckland Town Hall was looking pretty shabby on the floors, when it came time to recoat the floors, they were sanded back due to an old oil-based coating on the floors. Then re coated with 1x coat of Bona Prime Intense and 2x coats of Bona Traffic HD Silk Matt. 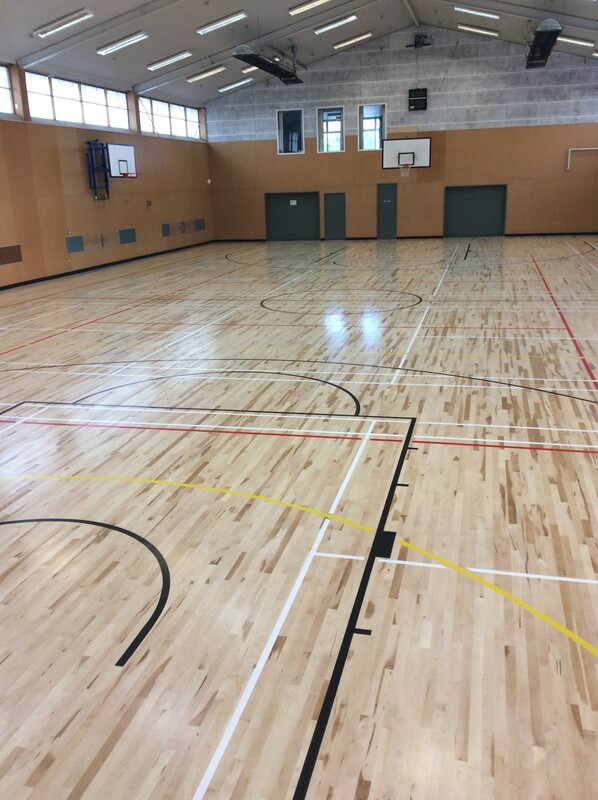 This job was done by Strategic Flooring and they work on a lot of Halls and Sports facilities around Auckland. 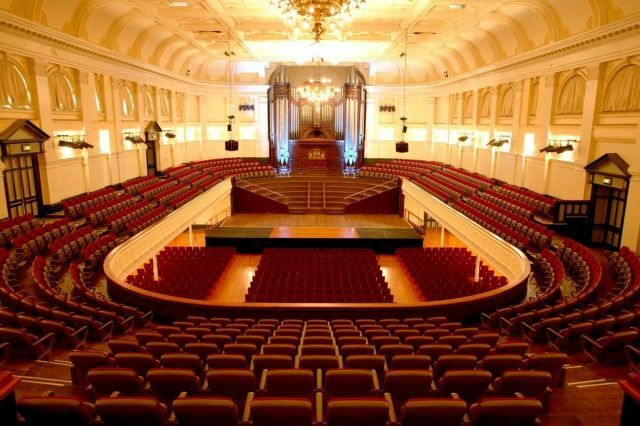 This job required a product that was hard wearing due to the foot traffic at this venue. 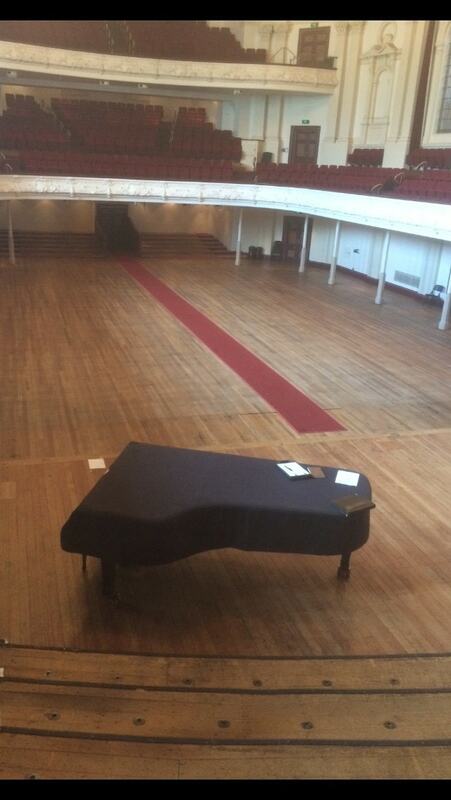 This job was done using a dustless vacuum cleaning system. 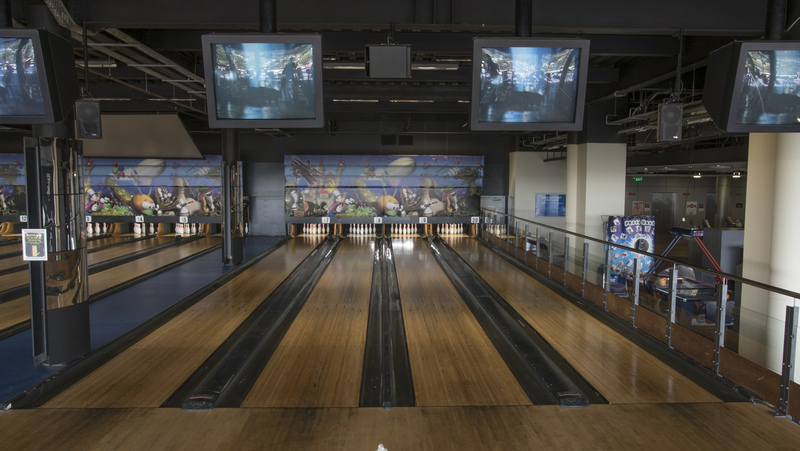 It wasn’t possible for Sky City to shut the bowling venue so two lanes were done at a time while the remaining lanes were still in use with only a 2-day window for each lanes. 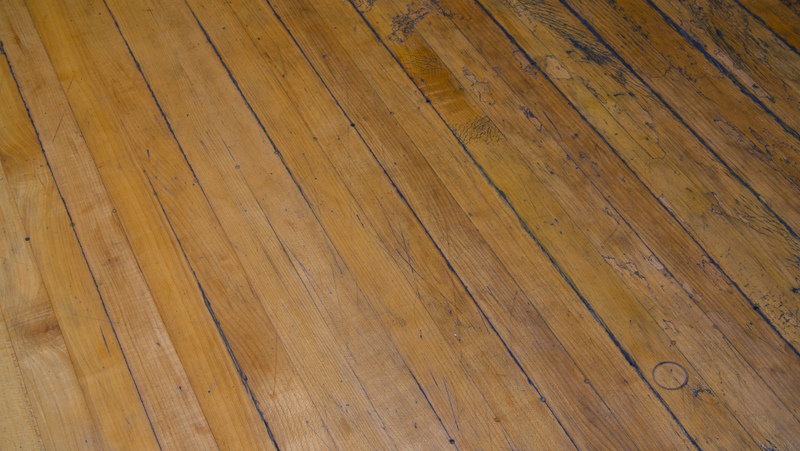 1 coat of prime intense was used and followed by 3 coats of Traffic HD, a 2-part waterborne polyurethane. The final coat was applied on Sunday 11pm and the first ball was bowled at 11am Monday morning. Two years the bowling alley shows no visible signs of deterioration. Bona was chosen due to its low VOC and superior wear resistance. This community centre based in the Far North Kaitaia was completed. 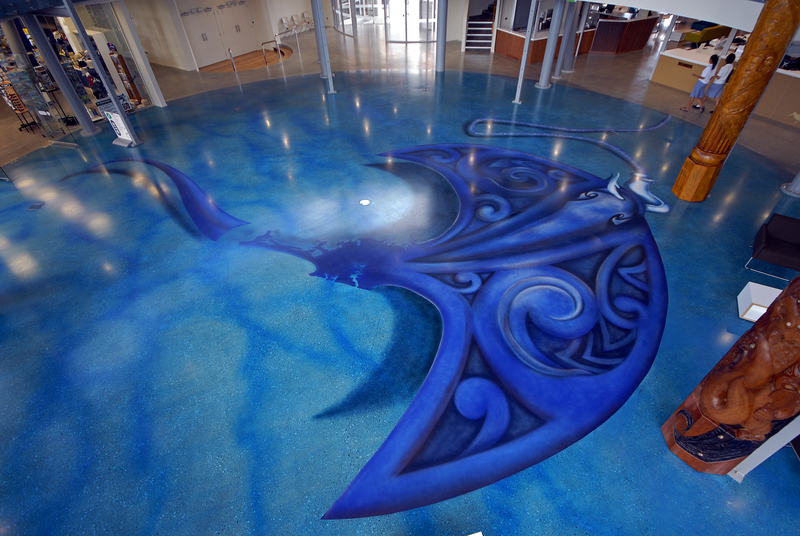 Two coats of the EP705E Semi-gloss was installed with the second coat having a blue pigment added to it, The giant stingray design was then spray painted onto the floor with a final coat of EP705E to seal the design. EP750E was chosen because of the clarity it provides keeping colours fresh and vibrant. 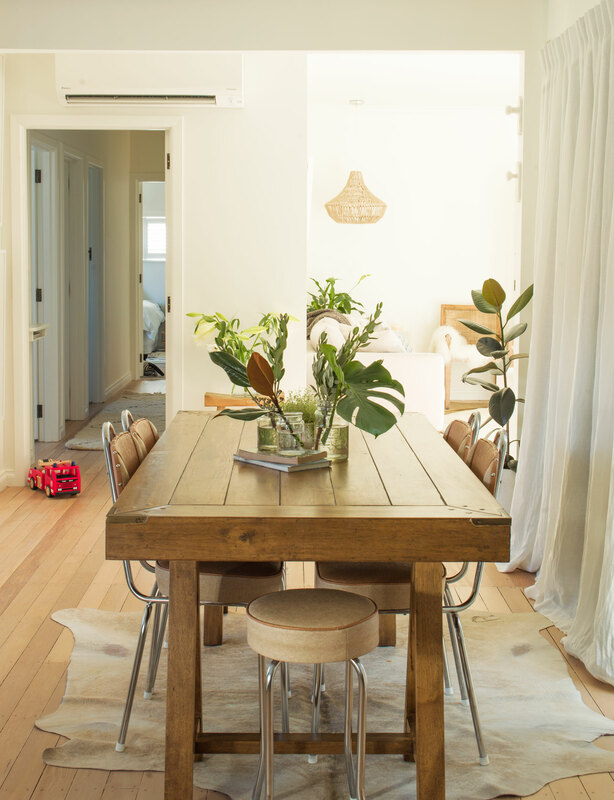 Look Floors have also specified a supporting cleaning system which will enhance the durability and longevity of the floor. 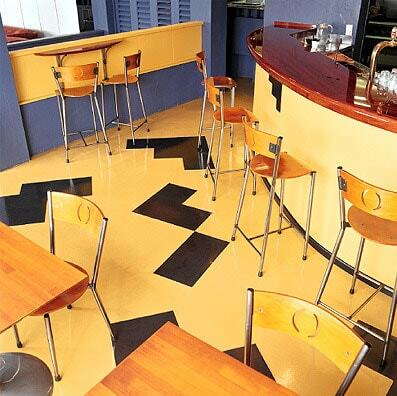 When the owners of Auckland’s Level One bar and eatery laid a new floor, they wanted a coloured material that would wear well and could have a pattern incorporated into it. The self levelling compound Ardex K15 was used. Through the addition of pigment and other additives, the surface colour could be customised. 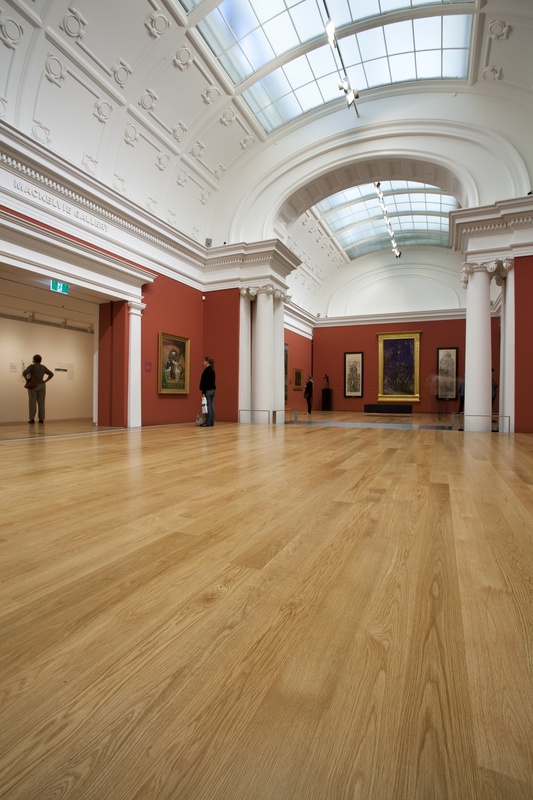 As the floor is flat and smooth, it is easy to change an image once the current floor has served its purpose. A new floor can simply be laid straight over the top of the existing one. Bona Drifast Stains are available in a wide range of colours. These can be mixed together to achieve endless colour options. 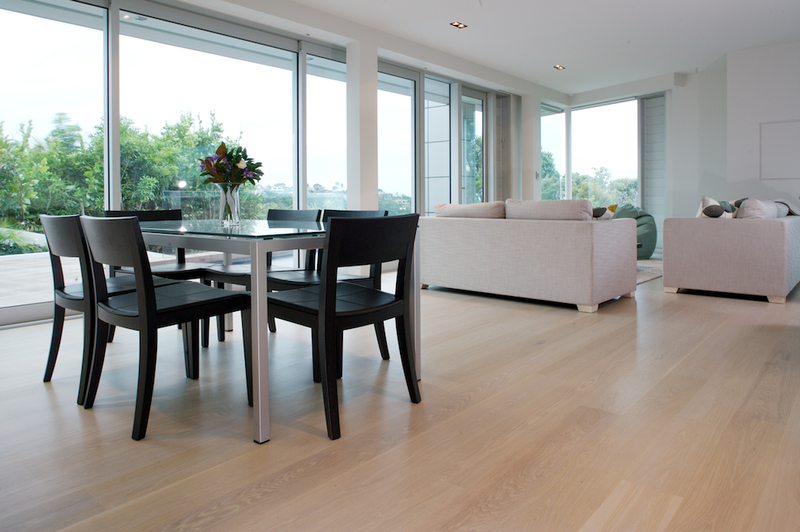 Enabling you to find the perfect match for your floor. This beautiful location in Devonport, Auckland has been stained with a blend of colours to achieve this intense stained look. It has then been coated with one coat of Prime Intense and three coats of Traffic giving a very hard wearing and durable finish. 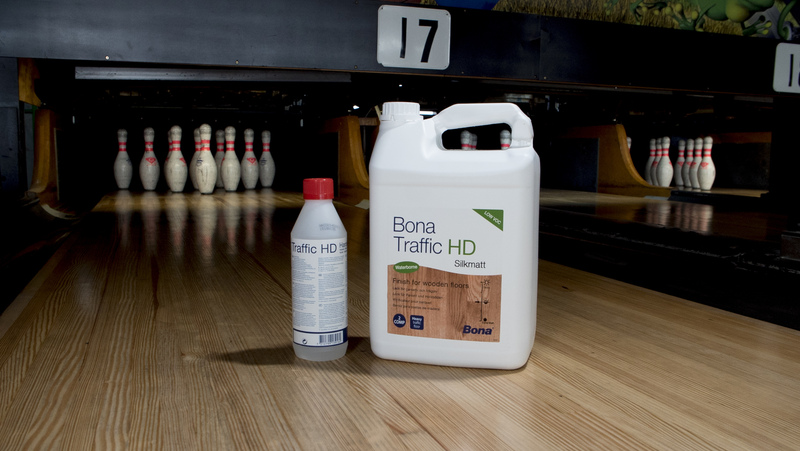 Bona Traffic + Prime Natural used on this floors - to bring them back to life. This factory floor had oil and grease contamination. A KLB PS 22 biodegradable de-greaser was used first. The PS 22 removed a high percentage of the oil and grease which avoided adhesion failure. Following this process the floor was then coated with Ardex WPM 163. 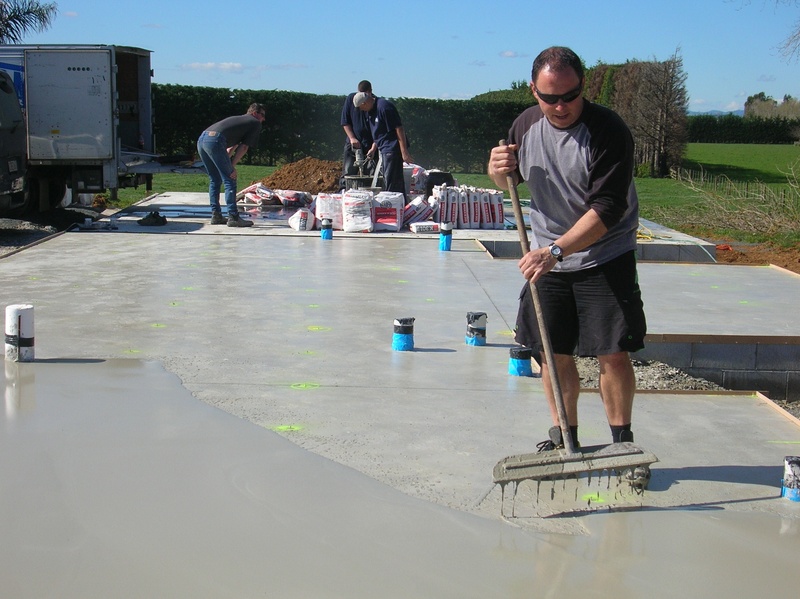 WPM 163 was used as a streak free wearable concrete sealer. It is an economical, easy to apply, clear water based penetrative sealer for internal and external concrete surfaces. Typical uses include: Incontinence barrier for concrete floors, dust suppressant, water inhibitor, breathable sealer for concrete, brick, stone, slate and masonry. Ardex K301 is a quick drying outdoor levelling compound for repairing and re-surfacing internal and external sand/cement screeds. 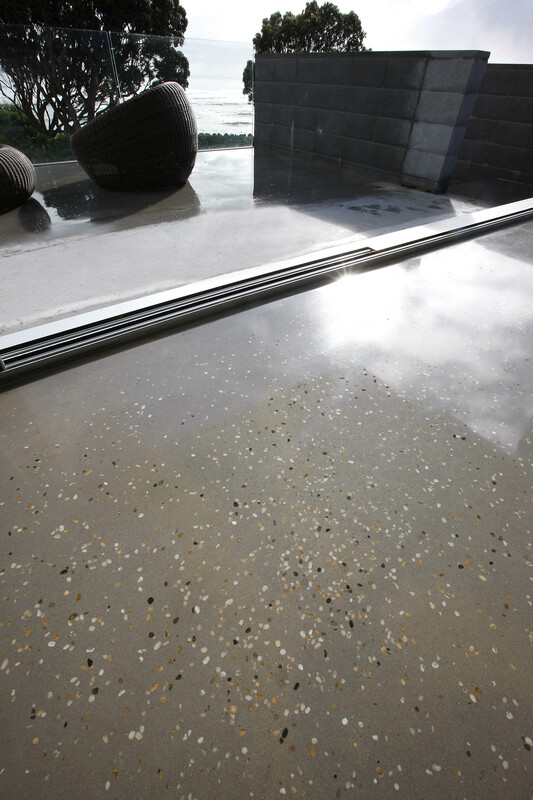 Ardex K301 can also be used as a wear surface in domestic garages, workshops, storage areas, light commercial areas, balconies, courtyards and footpaths. 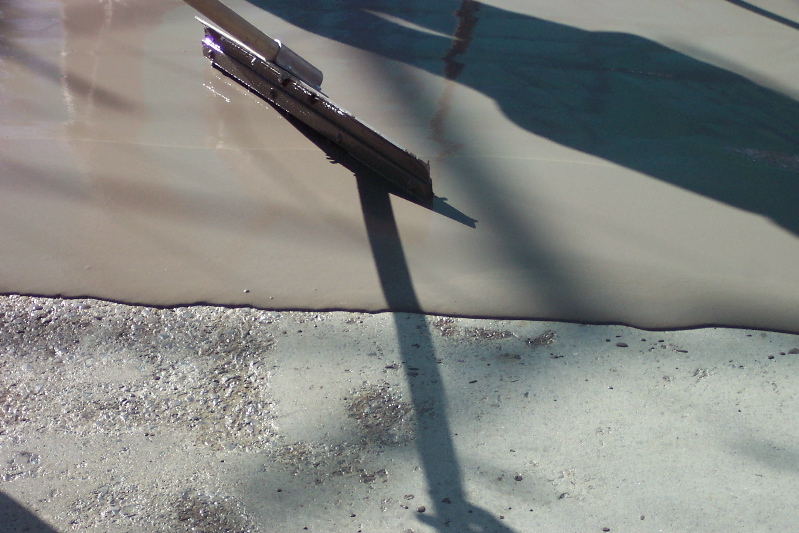 K301 can be applied to dry or moist concrete substrates provided they are set and hardened. 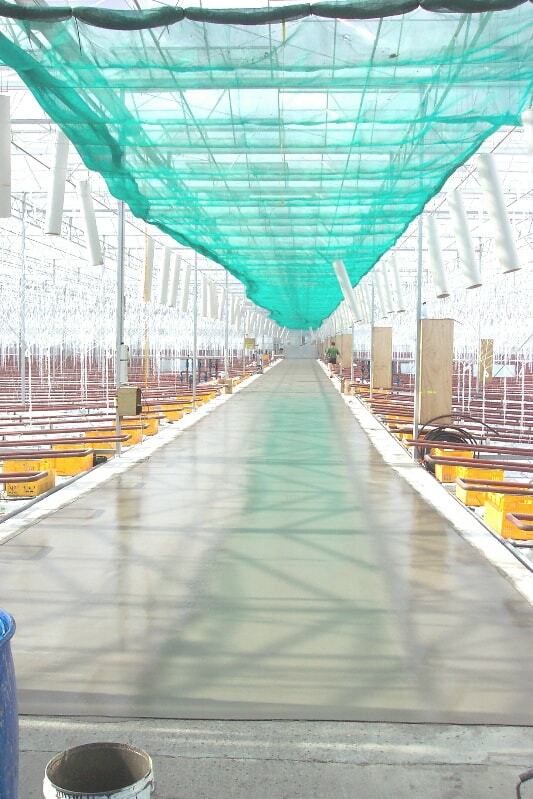 Re-coating causes a big inconvenience to the honey production as well as being a regular and costly process. Look Floors were able to provide a durable, permanent coating system without the requirement to remove the concrete slab. The KLB PU Concrete System was chosen because it could provide the required chemical resistance, it mechanically hardened in 24 hours and the chemical resistance took 48 hours. 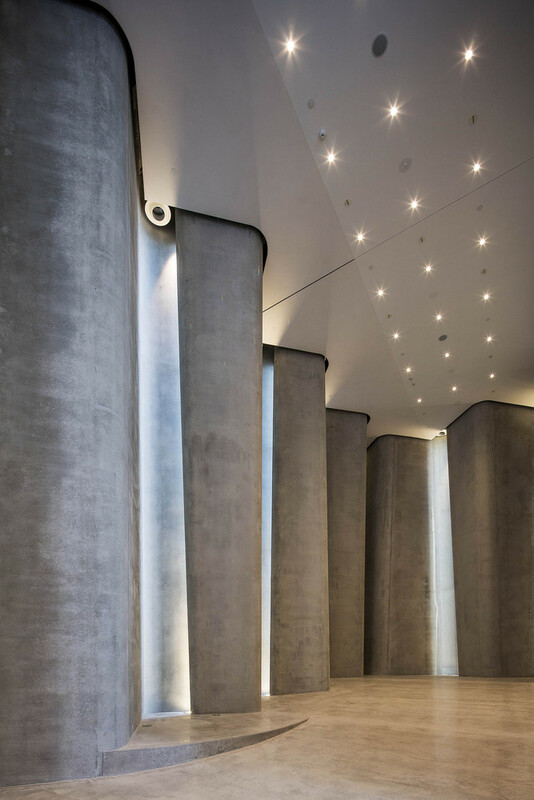 The concrete has a temperature resistance of up to 90°C, which enabled their cleaning regime to be used without adversely affecting the coating system.